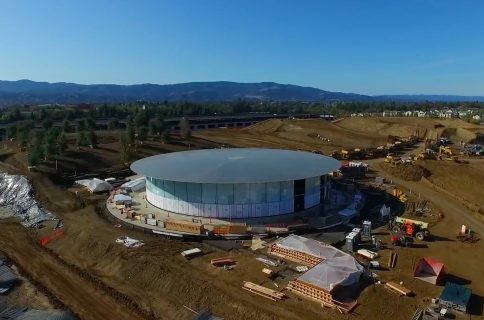 We’ve been tracking rapid construction progress at the Apple Campus 2 site thanks to avid YouTubers who take their expensive drones to the skies each month so we can marvel at jaw-dropping aerial footage of the ring-shaped building that’ll soon become home to a whopping 13,000 employees. 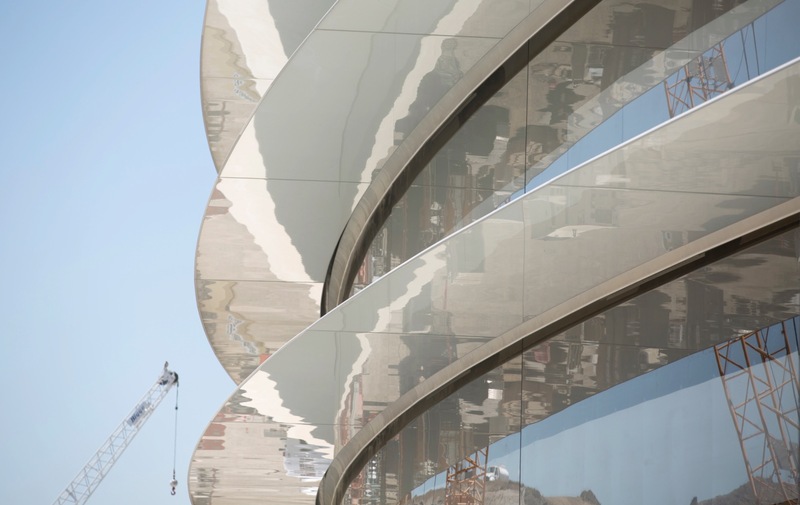 Just ahead of Apple’s planned early-2017 move in, French blog MacGeneration treats us to never-before-seen photographs showing off intricate details and the building’s vast interiors at the 2.8 million-square-foot site. 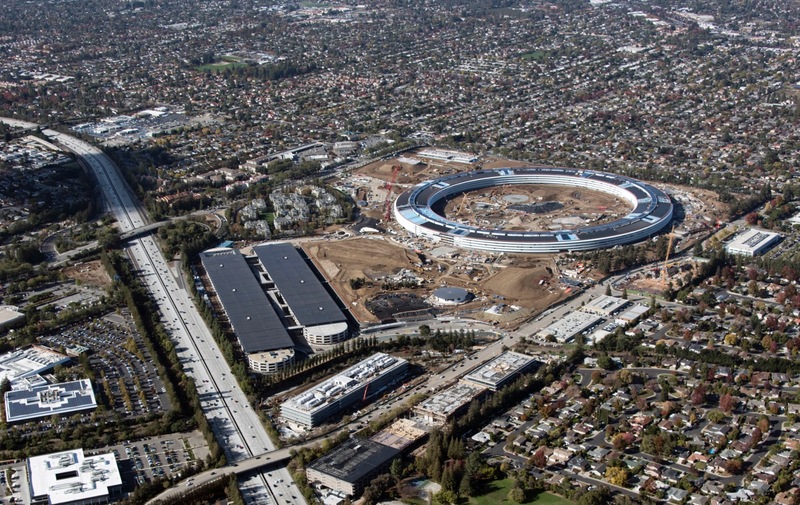 Apple originally captured and shared these images, along with other information, in a memo to employees. 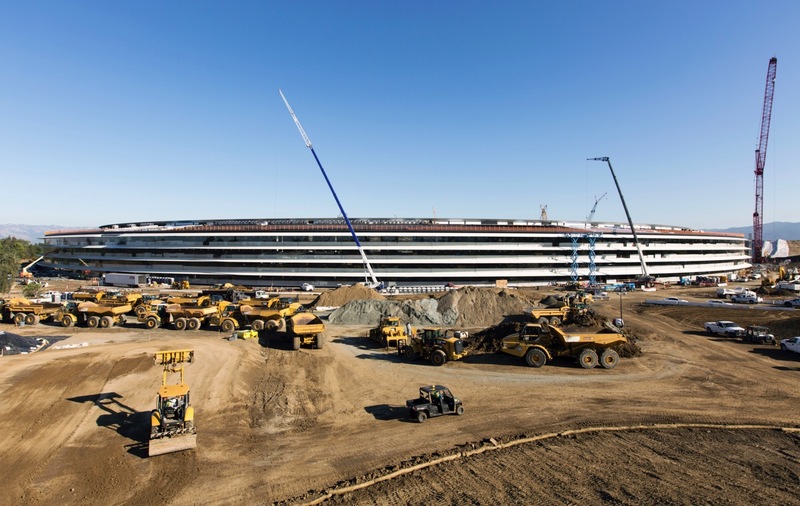 According to it, 5,200 people are currently employed at the site. 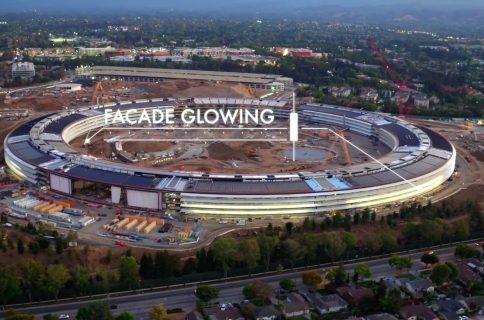 In addition to several “Caffè Macs” spots (Apple’s company cafeteria) and the flying saucer-shaped building itself, there’ll also be outdoor eating spaces, jogging and biking trails, a massive fitness center, an underground auditorium where future events will take place and much more. 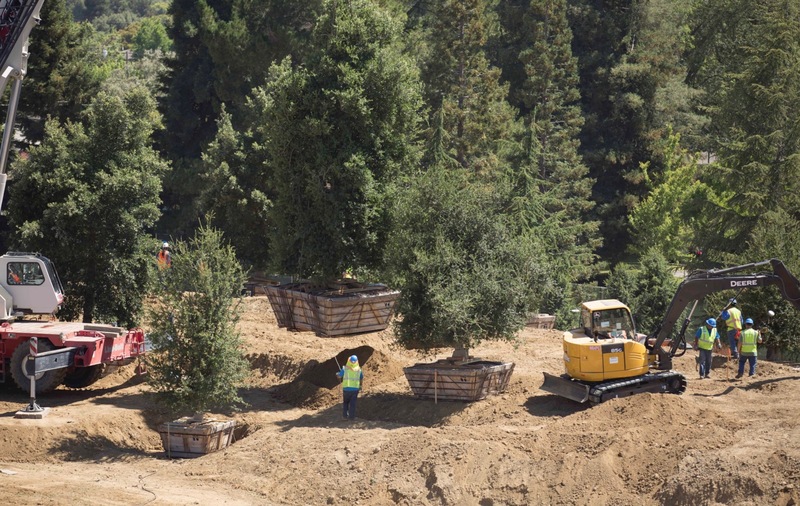 Much of the surrounding areas will be covered with greenery native to California. 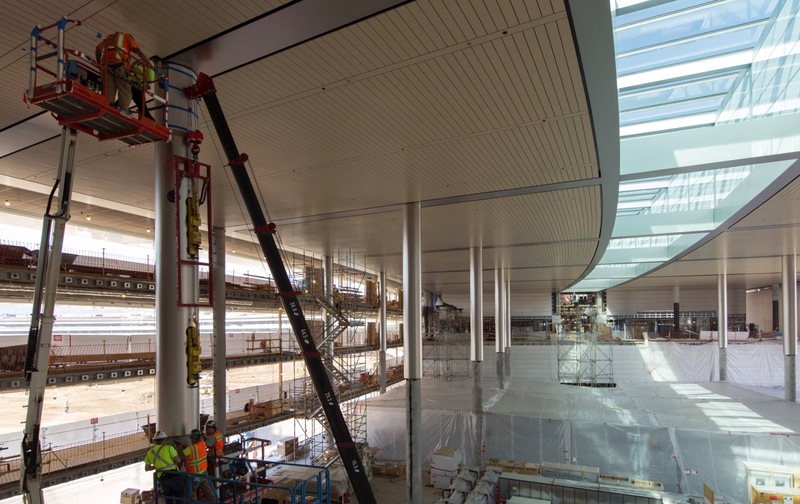 Not unlike the huge glass doors in Apple’s recently launched retail store in San Francisco, the doors to iSpaceship’s atrium are made from ten massive glass pieces. 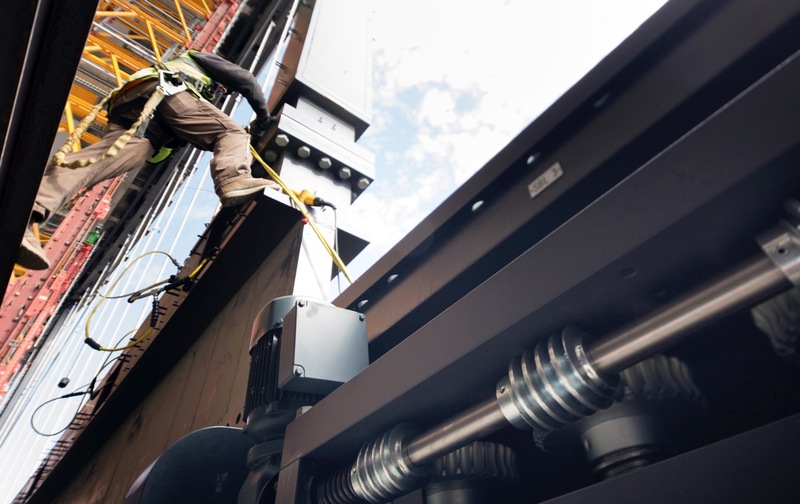 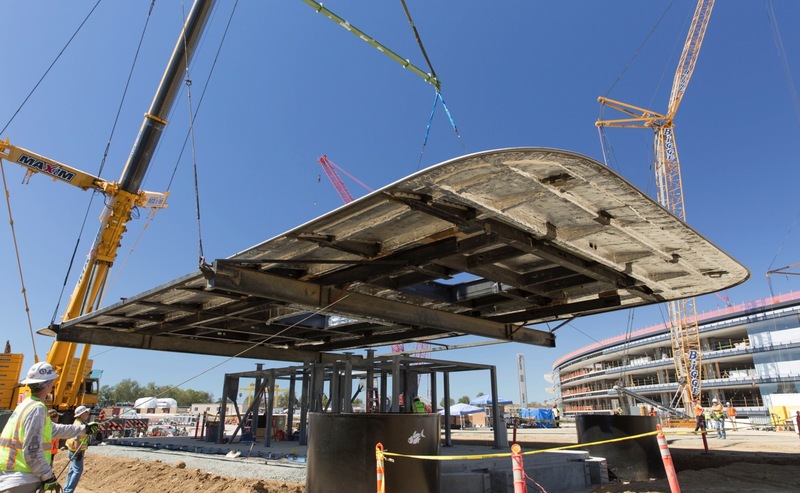 Oversized, made in Germany curved-glass panes are held in place during installation by cranes equipped with suction cups. 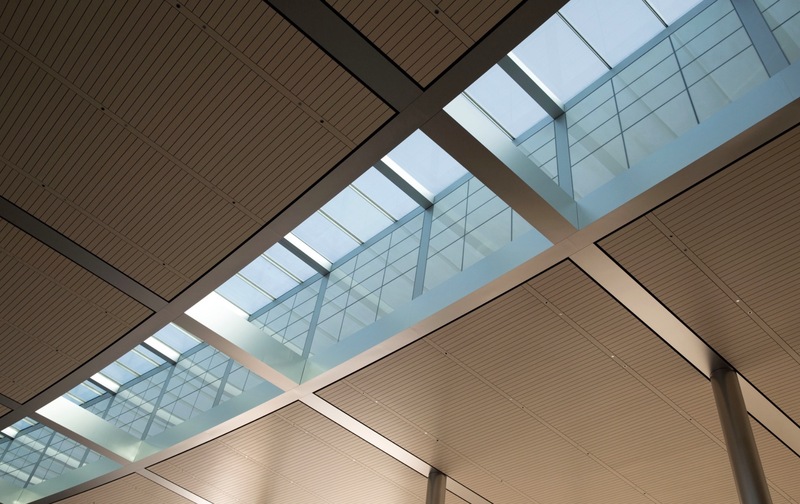 iSpaceship’s skylights that line the roof will let natural light in. 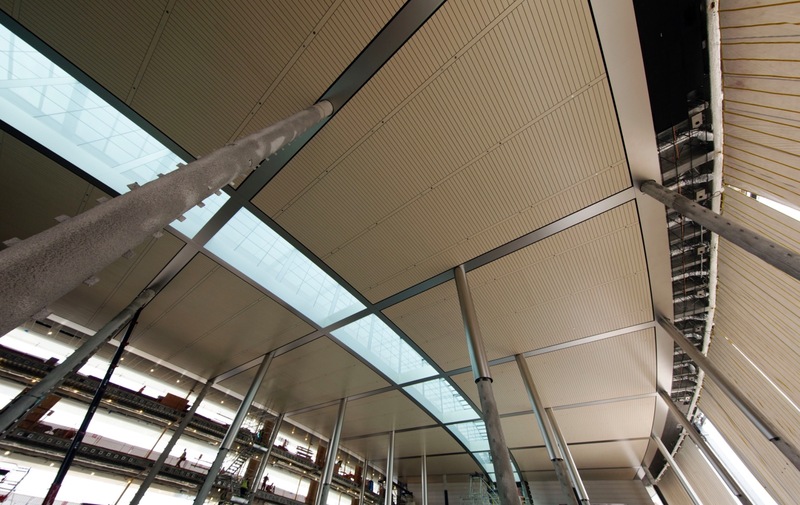 Some of the holes spotted in the building’s marble walls are said to house speakers. 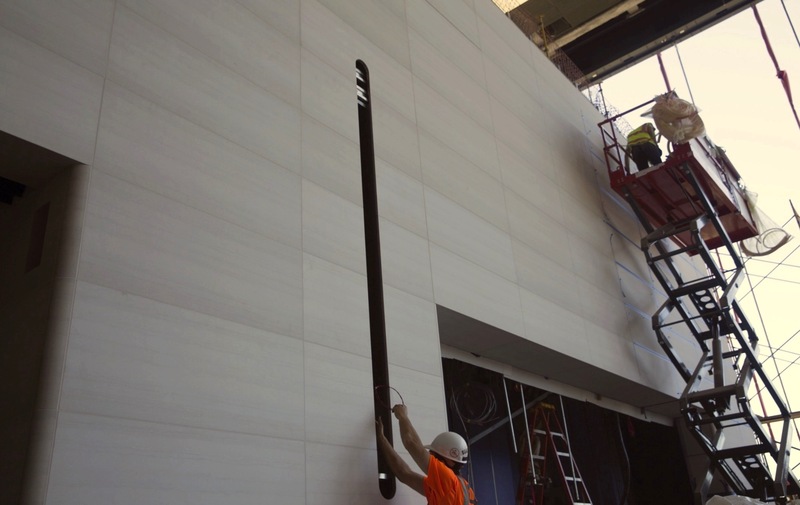 Designed by Jony Ive, the iSpaceship building—like most Apple products—uses expensive construction techniques to hide any screws or supporting parts from view. 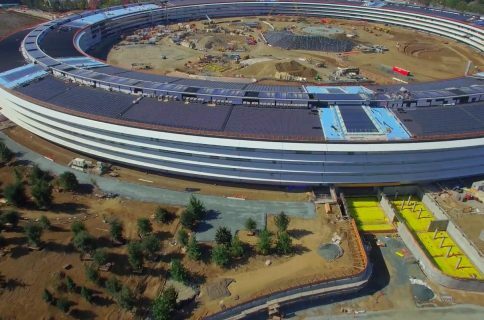 60 construction workers are said to have worked five months just to install small tiles on the curved walls in one of the access tunnels. 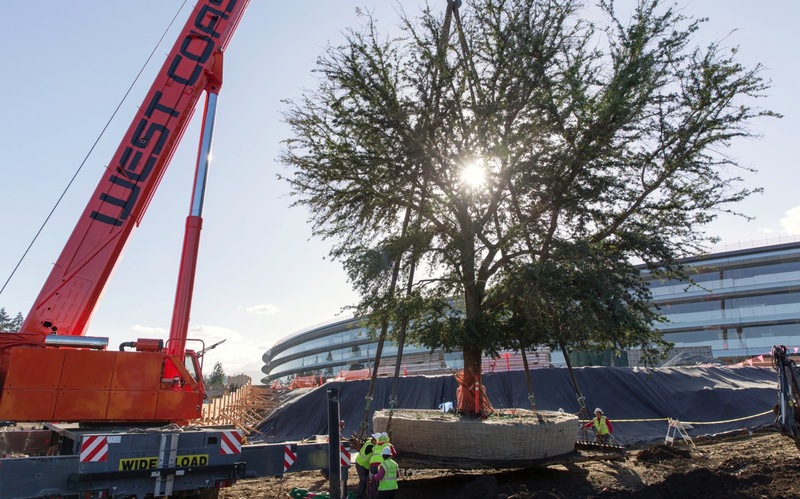 First employees will begin moving in around early-2017 although landscaping work will take a few more months to complete than originally thought.